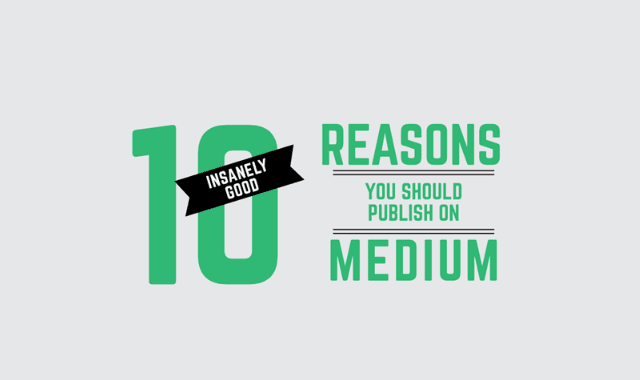 10 Insanely Good Reasons You Should Publish On Medium #Infographic ~ Visualistan '+g+"
We all want to make our content go farther. No matter how many followers you have on social media and no matter how many people visit your website every month, sometimes your great content just doesn't get as much mileage as it could. Your most loyal readers will read your content, of course. While feeding your existing audience great content is important, your existing audience is limited. There is a much larger audience who has yet to even hear about you or the awesome stuff you're writing. So if your goals include giving your content a second life and continuing to grow your audience, Medium can definitely help you.